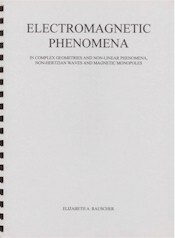 This book could represent a significant breakthrough in analyzing the properties of non-linear systems and the 'non-Hertzian' or 'longitudinal electric wave.' From the starting point of Maxwell's equations, some specific formulations are developed that allow solutions in higher multi-dimensional models of space-time. The theoretical model described here points to major future developments in energy conversion and communications systems.